UPDATE: Live photos have been added to the gallery. 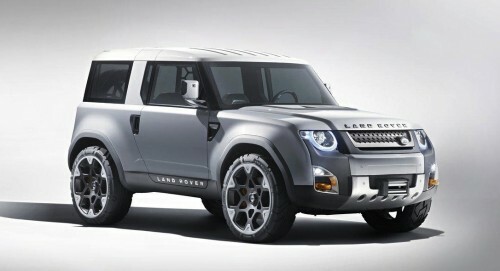 Land Rover has unveiled two Defender concepts at the Frankfurt Motor Show. The first is the DC100 concept which was revealed prior to the motor event and second is the roof-less DC100 Sport concept which was just announced moments ago. According to the famous 4×4 maker, these two concepts will help set the pathway for the future design of the iconic Defender and they both showcase various off-road capabilities. Both concepts sit on the same lightweight, mixed-alloy platform and feature 2.0 litre gasoline and diesel engines with hybrid and plug-in capabilities. 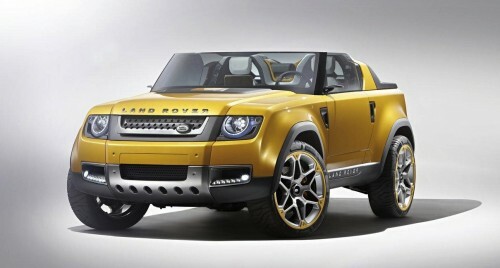 They both run on a permanent four-wheel drive configuration along with an 8-speed transmission. Other features include an Intelligent Stop/Start system, three-abreast ‘social seating’, Radio Frequency Identification (RFID) Leisure key which is a waterproof and lightweight alternative to the control fob, built-in induction charging stations as well as the ‘Always-on’ connectivity and telematics feature which allow for car-to-smartphone, car-to-car and car-to-base communication. As for the 4×4 functions, both concepts have the Terrain-i scanning device which alerts the driver about obstacles while off-roading and it can even suggest alternative routes. There is also something called Wade Aid which uses sonar technology to assess water depth and it can also advise the driver on the optimum speed. Another interesting feature is the spiked tyre system which can be activated by the driver. There is also Driveline Disconnect which physically disjoints the rear axle to save fuel when the all-wheel drive system is not required and there is also an updated Land Rover Terrain Response system. So what’s the difference between the two concepts? 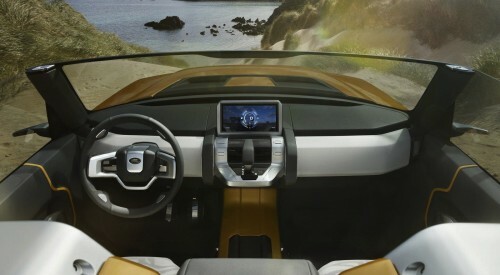 Well the DC100 pretty much showcases the future of Land Rover capability and versatility while the DC100 Sport is an “active expression of freedom and leisure.” Land Rover also took the opportunity to reiterate that the new Defender will be launched in 2015. Continue reading to view an image gallery.